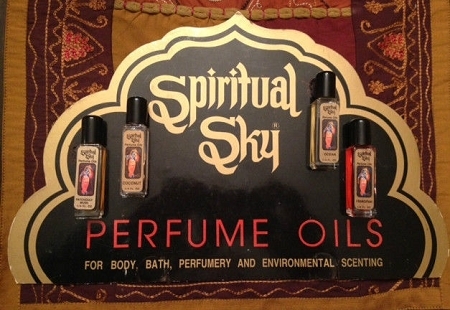 SPIRITUAL SKY CONCENTRATED PURE ESSENTIAL PERFUME BODY OIL. 1/4 fluid oz of the best essential oil. It's the Body Oil you remember from back in the day. So pure it may be worn on the body or used for environmental scenting. An essential oil is a liquid that is generally distilled (most frequently by steam or water) from the leaves, stems, flowers, bark, roots, or other elements of a plant. 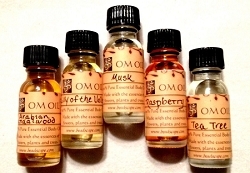 Essential oils, contrary to the use of the word "oil" are not really oily-feeling at all. Most essential oils are clear, but some oils such as patchouli, orange and lemongrass are amber or yellow in color. 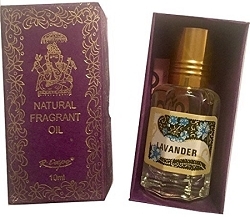 This body oil is "essential" in the sense that it carries a distinctive scent, or essence, of the plant. 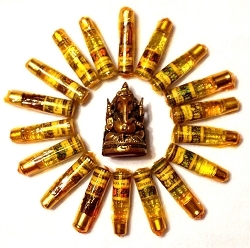 Spiritual Sky Oils can also be used in magic. 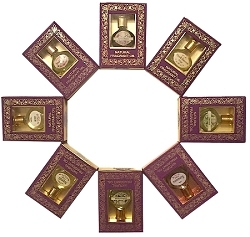 Metaphysical properties of the oils are listed next to the fragrance.